Visit Williams Mullen GovCon Perspectives, a blog dedicated to providing government contractors with the latest information on topics that impact the industry. He represents domestic and foreign companies with respect to conducting business with the federal and state governments. He advises contractors, subcontractors and third-party stakeholders regarding many of the issues that arise in the context of these efforts, such as: obtaining contracts, schedule contracts, teaming and subcontracting, mergers and acquisitions, set-asides and small business issues, financing, privatization, solicitation evaluation, contract interpretation, procurement integrity, employment, regulatory compliance and training, intellectual property protection, conflicts of interest, contract performance, security clearances, dispute avoidance and FOIA. He also advises clients regarding aspects of export licensing and Foreign Military Sales. 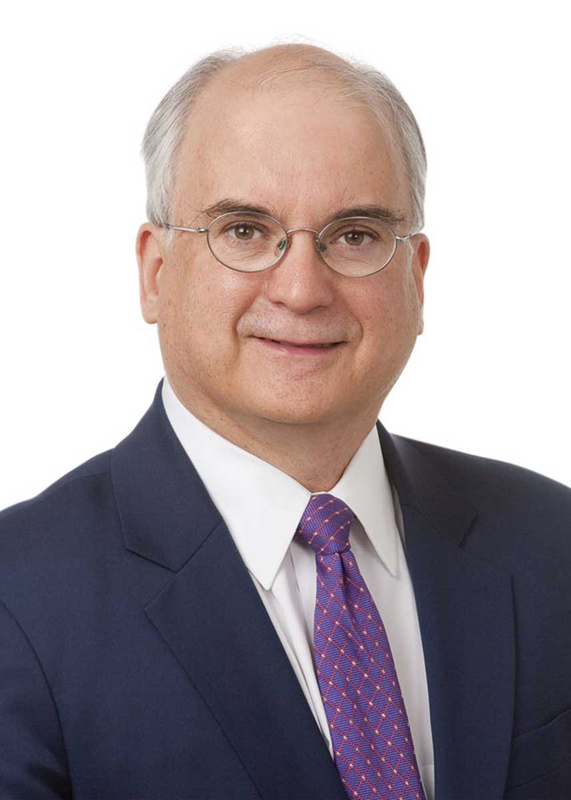 Anthony has represented clients in diverse sectors such as aerospace, cybersecurity, energy, engineering, financial services, information technology, medical products and services, ground support equipment, manufacturing, military products, heavy industry, construction, security, human capital and various services industries. He has represented clients in matters involving the Departments of Defense, Homeland Security, Energy, Agriculture, HHS, Transportation and Interior as well as National Air and Space Administration (NASA), the General Services Administration, the Small Business Administration and other agencies. He also has represented clients before various state agencies. He is a seasoned trial and appellate lawyer who has first-chaired numerous cases to conclusion. Anthony has represented clients in matters before various federal and state courts, the Boards of Contract Appeal and the General Accountability Office. As appropriate, he advances client interests through litigation, trial, appeal and alternative methods of dispute resolution. In doing so, he draws upon experience representing the United States for over a decade in resolving complex, high-dollar contractual, statutory, regulatory and constitutional disputes, as well as Congressional Reference matters while serving as a trial attorney, senior trial counsel and assistant director in the civil division of the U.S. Department of Justice. He is a frequent speaker on government contracts and has testified as an expert witness on such matters. Negotiated CRADAs with federal agencies and research facilities regarding cybersecurity and medical product development projects. Drafted and negotiated architect and construction services contracts for quasi-government organization’s headquarters. Advised regarding interpretation, negotiation, performance, and compliance issues on numerous contracts, subcontracts, grants, CRADA’s, joint ventures, and other agreements. Drafted and negotiated numerous compliance and litigation settlement agreements. Advised entities regarding Facility Security Clearances to perform classified contracts, including resolution of Foreign Ownership, Control, and Influence mitigation issues. Advised entities in seeking deal approval from the Committee on Foreign Investment in the United States (CFIUS). Advised entities seeking Department of Homeland Security SAFETY Act Designation / Certification. Advised entity in establishing corporate presence in Afghanistan to perform as government contracts subcontractor. Advised companies regarding numerous and varied regulatory compliance issues. Represented multiple entities in asserting or defending against bid protests at General Accountability Office, United States Court of Federal Claims, and United States Court of Appeals for Federal Circuit. E.g., fuel supply, IT integration and equipment, IT services, security services, engineering services, engineering consultants, aircraft ground support equipment manufacturer, laboratory integration services provider, and human capital resources provider. Used informal and formal bid protest methods to counter attempted exclusion of renewable energy producer industry from series of Defense Department and General Services Administration solicitations. Defended contract award to engineering services company in protest before District of Columbia Water and Sewer Authority contract. Represented clients in state level bid protest matters in Maryland, New Jersey, North Carolina, and Texas. Represented various product, IT, services providers in asserting and litigating claims against United States on contracts such as security services, engineering services, consulting services, agricultural products, laboratory integration services, before US Court of Federal Claims and Boards of Contract Appeals. Represented companies in various commercial litigation matters associated with contracts work, before federal and state courts. E.g., breach of contract, unfair business practices, breach of teaming and non-disclosure agreements, theft of trade secrets, defamation, fraud, fraudulent concealment, conspiracy. Weidemann Associates v. CFTC, GSBCA. Contract and attorney fee claim for consulting contractor on contract with U.S. Commodity Futures Trading Corporation. McDonnell Douglas Corporation and General Dynamics Corp. v. United States, (A-12 Litigation). Lead trial counsel for United States in initial liability trials of $2.3 billion default termination. Granite Construction Co. v. United States. Lead trial counsel for United States on multi-million dollar claim arising from dam tunnel bypass construction contract. Lead trial counsel on defense of multi-million dollar contractor claims regarding construction of U.S. Force Command Center. Lead counsel on defense of superior knowledge claim on dredging contract. Lead trial counsel on contractor delay and disruption claims regarding construction of hotel facility. Defense of False Claims Act investigations for (i) advanced technologies research and engineering firm, (ii) military equipment supplier, (iii) government health care provider. Defense of False Claims Act investigation associated with qui tam matter for (1) firearms manufacturer, (ii) public health research provider. Defense of criminal and civil False Claims Act investigation, as well as follow-on debarment proceeding, for environmental consulting entity. Defense of False Claims Act investigation, as well as follow-on debarment proceeding for international food and grocery products exporter and affiliate entities and persons. Defense of False Claims Act qui tam matters involving: (i) Defense Department language services provider and (ii) Defense Department and civilian agency security services provider. Defended clients in federal Suspension & Debarment proceedings: E.g., (i) aircraft ground support equipment manufacturer accused of furnishing defective equipment; (ii) international aide firm accused on improper accounting practices; (iii) international fabrics supplier whose president was convicted of making improper gratuities; (iv) security services provider accused of invoicing and training irregularities; (v) custom machining provider for delivery of non-conforming parts; and (vi) former U.S. Navy Admiral accused of trading official actions for gratuities. Advised lead counsel regarding defense of qui tam matters for: (i) commercial container manufacturer, (ii) construction contractor, and (iii) medical services provider. Conducted multiple internal investigations for major defense contractor. Defense of clients alleged to have violated Social Security fraudulent mailing statute. Spalding Brothers v. United States. Lead defense counsel and co-counsel on appeal where contractor sought extraordinary Congressional relief involving alleged contract breach in sale of timber. Developed government contracts manuals, codes of ethics and business conduct, and compliance procedures with associated training for multiple entities. United States v. David Safavian, Cr. No. 05-0370, D.C. D.C. Testified as expert regarding principles of government contracting process.